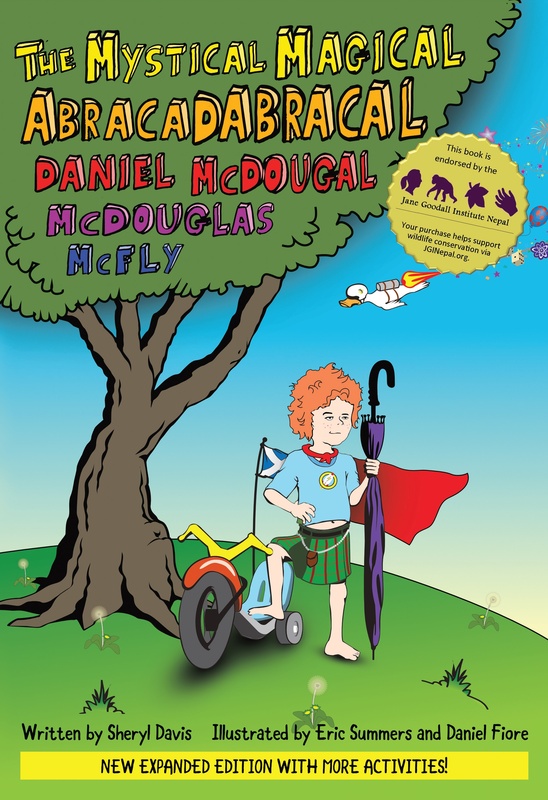 Buy The Mystical Magical Abracadabracal Daniel McDougal McDouglas McFly for your child’s bookshelf, their classroom or in bulk! Click the Buy Now button, specify quantity and delivery, and pay securely via your own credit card or PayPal. We’ll donate a portion of direct sales to the Jane Goodall Institute of Nepal for wildlife conservation. Order by bulk and enjoy the discounted pricing. We’ll donate a portion of direct sales to the Jane Goodall Institute of Nepal for wildlife conservation. Contact the publisher concerning bulk orders or fill out the form on the right. Why order directly from our website? You get swag like tree and wildflower seeds, stickers, and environmental superhero buttons! Ordering directly helps us finance print runs take to book shows, festivals, schools, and organizations that support, inform, and foster sustainable, environmentally friendly practices and lifestyles. Discounts are available for organizations and indie bookstores, who receive a 40% direct discount. For wholesale ordering, please use the “Bulk Orders” button or send a message via our contact form. The book is also available via giant online retailer in the clouds (we’d love it if you’d leave a review on Amazon).